Norway earned their fourth win in a row at the EHF EURO 2018 as goalkeeper Silje Solberg had 18 saves in a 38:29 win against Sweden, but they still had their worst tournament in 18 years. Photos by Uros Hocevar, Stanko Gruden and Jure Erzen. Press conference with the four semi-finalists held in the AccorHotels Arena. Photos by Uros Hocevar. The teams have arrived in Paris for Friday's matches at the AccorHotels Arena. Photos by Anze Malovrh. France close the main round in Nantes with a convincing 28:38 win versus Serbia, which secures their second consecutive EHF EURO Semi-final berth. Photos by Uros Hocevar and Jure Erzen. In need of a point to progress to the final weekend in Paris, Netherlands did what needed to be done to beat Germany 27:21 in the final main round match in Nancy. Photos by Jozo Cabraja and Anze Malovrh. Cristina Neagu went off with an injury, but Romania still hopes of a semi-final berth, despite the 31:29 loss. Photos by Anze Malovrh and Jozo Cabraja. Sweden fulfilled their task by beating group winners Russia 39:30 in Nantes to maintain their semi-finals hopes, and must now hope France stumble in their last match. Photos by Uros Hocevar and Jure Erzen. Montenegro had their slim chances of advancing from the EHF EURO 2018 Main Round dashed by already-eliminated Denmark following a 24:23 defeat. Photos by Uros Hocevar and Jure Erzen. EHF EURO record winners Norway still hope for a semi-final berth at France 2018, after a 33:26 victory against Spain in their final main round match. Photos by Anze Malovrh and Jozo Cabraja. Norway are still in with a chance for the final weekend of the EHF EURO 2018 in Paris, after they recorded a breath-taking 29:16 win against the Netherlands. Photos by Anze Malovrh and Jozo Cabraja. There were 14 turnovers in the first half for Romania, but somehow coach Ambros Martin’s side came back and took a 27:25 win against Spain. Photos by Anze Malovrh and Jozo Cabraja. In a thrilling clash, Montenegro beat arch-rivals Serbia to keep their semi-final at EHF EURO 2018 hopes alive. Photos by Uros Hocevar and Jure Erzen. The reigning Olympic champions beat Denmark 32:21 to become the first team to secure a semi-final ticket. Photos by Jure Erzen and Uros Hocevar. Photos by Anze Malovrh and Jozo Cabraja. No Nycke Groot, no problem for the Dutch side. The captain left the court after six minutes with an apparent head injury but the Netherlands still beat Romania 29:24 at the EHF EURO 2018. Photos by Anze Malovrh and Jozo Cabraja. Superb defence and great attacking games from Anna Vyakhireva and Daria Dmitrieva led Russia to a confident victory, 29:25, versus Serbia in their first main round match. Photos by Uros Hocevar and Jure Erzen. Noemi Hafra scored the winning goal with only nine seconds to go, as Hungary edged a tough win against Germany, 26:25. Photos by Anze Malovrh. Sweden kept their EHF EURO Semi-final hopes alive with a 21:21 draw with hosts France on Sunday afternoon, with goalkeeper Filippa Idehn playing an instrumental role. Photos by Uros Hocevar. Netherlands claim bronze at Women's EHF EURO 2018 in France with a 24:20 win against Romania at the AccorHotels Arena in Paris on 16 December. 🇫🇷 Team France made their way up to the final. Let's take a look at this long but amazing journey. Comment below who is your favourite player! 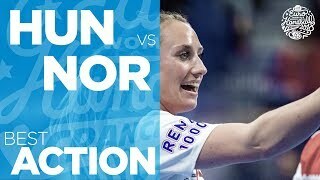 Watch the highlights from the semi-final Netherlands vs France at the Women's EHF EURO 2018. Enjoy the best goals and the best saves of the Netherlands in the main round at Women's EHF EURO 2018 in France. 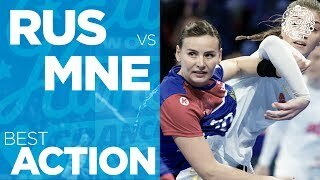 Enjoy the best goals and saves from Romania at the main round at Women's EHF EURO 2018 in France. 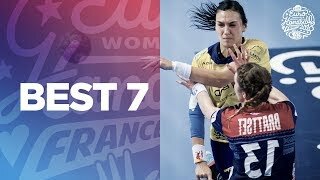 Enjoy the best goals and best saves from France in the main round at Women's EHF EURO 2018. 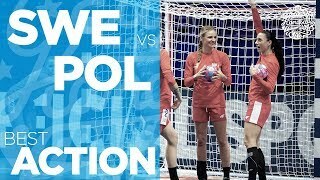 Enjoy the best goals and best saves from Russia in the main round at the Women's EHF EURO 2018 in France. Denmark beat Montenegro 24:23 in their final main round match of EHF EURO 2018. Enjoy the match's highlight. Montenegro won the 'Balkan classic' against Serbia 28:27 at the EHF EURO 2018 in France. Enjoy the match's highlights. Russia have become the first team to qualify for the final weekend at EHF EURO 2018 courtesy of a 32:21 win against Denmark in Nantes. Enjoy the best goals and saves from Serbia in the preliminary round at Women's EHF EURO 2018. Enjoy the best goals and saves from Romania in the preliminary round at Women's EHF EURO 2018. Enjoy the best goals and saves from Denmark in the preliminary round at Women's EHF EURO 2018. 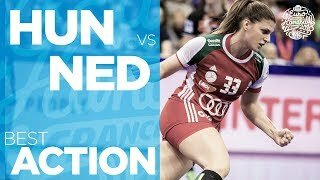 Enjoy the best goals and saves from Hungary in the preliminary round at Women's EHF EURO 2018. 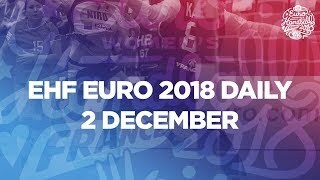 Enjoy the best goals and saves from Norway in the preliminary round at Women's EHF EURO 2018. Enjoy the best goals and saves from Montenegro in the preliminary round at Women's EHF EURO 2018. France opened their main round campaign with a comfortable victory over Denmark, 29:23, repeating the result of the EURO 2016 bronze-medal match. Watch the best moments again! 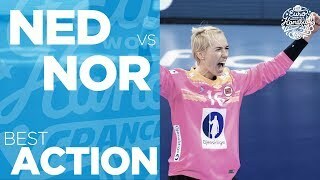 Enjoy the best goals and saves from Sweden in the preliminary round at Women's EHF EURO 2018. Third win for Netherlands in as many games at the EHF EURO 2018. France are back on track and a stunning performance against Montenegro (25:20) meant that they are taking two points to the main round in Nantes with them. Serbia take two points to the main round of EHF EURO 2018 following their 30:25 win against Serbia in Nantes. Slovenia finish EHF EURO 2018 on a high following a 29:27 win against Russia in the team's final preliminary round match at EHF EURO 2018 in France. Sweden take two points to the main round, while Poland have to exit EHF EURO 2018 in France after Sweden beat Poland 24:23 in the team's final preliminary round encounter in Nantes. An already thrilling match came down to the wire in Montbeliard, with plenty of spectacular action and a last second goal. Watch the match highlights here. Norway bounced back from their surprising loss to Germany to beat Czech Republic 31:17 in their second match in the preliminary round in Brest at the EHF EURO 2018 in France. Romania have secured their place in the main round of Women's EHF EURO 2018 and Cristina Neagu became the all-time EHF EURO top scorer as Romania beat Germany 29:24 at France 2018. Hungary made a good step towards the main round at Women's EHF EURO 2018 in France by beating Croatia in the preliminary round in Montbéliard. Enjoy the highlights of the match. Sweden are back in the game at EHF EURO 2018 following a 24:23 win against Serbia in the preliminary round in Nantes. Enjoy the highlights of this match. Denmark have become the first team to qualify for the main round at Women's EHF EURO 2018 following a 28:21 win against Poland in Nantes. Enjoy the game's highlights. France bounced back from their opening loss against Russia, beating Slovenia 30:21 in their second match at EHF EURO 2018. Watch the game highlights. With a very strong first half, Spain bagged a comfortable victory in their EURO opener against Croatia. Watch again the very best moments in the match and don't forget to comment! With a final result of 31:28 Roumania has been a strong team for their first match against Czech Republic at the Women's EHF EURO 2018 Preliminary Round. The Dutch team’s new line player Kelly Dulfer scored a perfect five from five as the 2016 silver medallists got their EHF EURO campaign off to a winning start against a rejuvenated Hungary, 28:25. Watch the Game Highlights Norway vs Germany again! What a thrilling match in Brest! What a game! We needed a few seconds more to know who will take the win home in this unbelievable match. Did you miss it? Watch here the best bits and enjoy! Watch again the thrilling moments of the Montenegro vs. Slovenia, game at the Women's EHF EURO 2018. With a result of 33:26 Serbia beat Poland in their first match at the Women's EHF EURO 2018. Watch the best actions here and comment below! 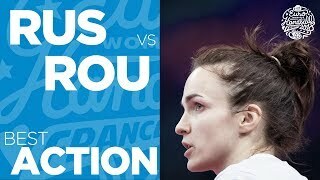 Watch the Game Highlights from France vs. Russia, first match at the Women's EHF EURO 2018. 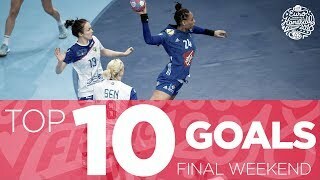 Enjoy the Top 10 Goals from the final weekend of the Women's EHF EURO 2018 in France. 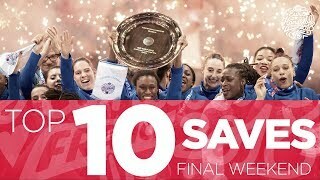 Enjoy the best saves from the final weekend of the Women's EHF EURO 2018 in France. Which are the top 3 saves of the final day at the Women's EHF EURO 2018? Watch it and comment. What a final day at the Women's EHF EURO 2018. We have saves, we have goals but also the best assists of the day! Have a look and enjoy. 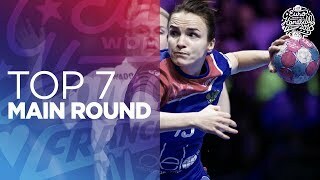 Top five plays of the Women's EHF EURO 2018 final day feature Daria Dmitrieva, Angela Malestein, Orlane Kanor, Lois Abbingh and Manon Houette. What would we do without the goalkeepers? Which is the save you like the most? Leave your comment! So close to the "grand finale" here are the best 3 assists of the day! Russia's Anna Sen, France's Gnonsiane Niombla, Sweden's Linn Blohm, France's Grace Zaadi and Russia's Anna Vyakhireva feature in the five most excellent pieces of action on the Women's EHF EURO 2018 penultimate match day. Here are the top saves of matchday 13 before the Semi-finales weekend! Who will appear on it? Sometimes it is not all about the goal but about the assist 😉 Enjoy the 3 best assists of Matchday 13 at the Women's EHF EURO 2018. 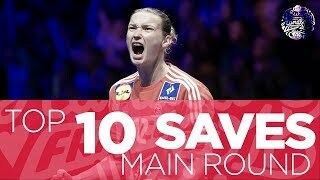 Enjoy the Top 10 Saves of the main round at Women's EHF EURO 2018 in France featuring Marija Colic, Yuliya Dumanska, Denisa Dedu, Katrine Lunde, Silvia Navarro Johanna, Bundsen and Filippa Idehn. 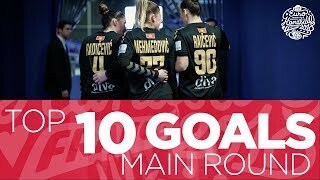 Enjoy the Top 10 Goals from the main round at Women's EHF EURO 2018 in France. Stine Oftedal, Estavana Polman, Nathalie Hagman, Jamina Roberts and Linn Blohm star in the our Top 5 Plays from 12 December at EHF EURO 2018. Cristina Neagu, Denisa Dedu, Katrine Lunde, Malin Aune and Silvia Navarro star in our Top 5 Plays from 11 December at Women's EHF EURO 2018. Goalkeepers are shining during the Women's EHF EURO 2018. Which goalkeepers stood out during Matchday 11? Have a look! There's more to a goal than the final shot. Enjoy the 3 best assists of Matchday 10 at the Women's EHF EURO 2018. Buzzer saves, last minutes save goalkeepers appearing from nowhere. Which is the save you like the most? Leave your comment! Iuliia Managarova, Anna Vyakhireva, Alina Grijseels, Charris Rozemalen and Noemi Hafra Feature in the top 5 Plays of Day 10 at the Women's EHF EURO 2018 in France. Line player and long-range passes made the top 3 assists of Matchday 9 in the Women's EHF EURO 2018. 🇭🇺 🇪🇸 🇩🇪 are the goalkeeper nations that we can find in the top 3 saves of Matchday 9 in the Women's EHF EURO 2018. Maike Schmelzer, Emily Bölk and Camille Herrem feature in the top five plays of the Match Day 9 at the Women's EHF EURO 2018 in France. Johanna Bundsen, Jelena Despotovic and Majda Mehmedovic star in the Top 5 Plays from 6 December at Women's EHF EURO 2018. We are in the middle of the competition and here you are the best top 10 goals so far! Can you recognize all of them? Enjoy the best goals from Romania, Germany, Norway and Czech Republic in group D from the preliminary round at EHF EURO 2018. Goalkeepers on fire in our Top 3 Saves of the Day from EHF EURO 2018 in France. Players from the Netherlands, Spain, and the Czech Republic star in our Top 5 Plays from the final day at the preliminary round of EHF EURO 2018. Enjoy the best goals from the teams in Group C at the preliminary round at EHF EURO 2018 in France. Watch the best goals and saves from France, Russia, Montenegro, Slovenia in Group B of the preliminary round in Nancy. The best goals and the best saves from Group A at the preliminary round from the Women's EHF EURO 2018. Incredible, marvellous, AMAZING moments during today's matches. Who will be in the top 5️⃣ plays today? 🇭🇺 🇪🇸 🇳🇱 🇭🇷 🇳🇴 🇷🇴 🇩🇪 🇨🇿 Leave your comment if you agree with us! Sweden edged out Serbia in the final seconds of their Group A round 2 match today - and feature not once, but twice in our Top 5 plays. Find out which other teams starred in today's action! Who would have guessed on Saturday morning that Germany would upset EHF EURO record winners Norway at France 2018? No wonder the team's players star in our Top 5 Plays of the Day . Check them out! 3 matches during the second day in the Women's EHF EURO 2018. What happened? what are the best plays of the journey? Watch the game to the very end....it will surprise you! The top five plays of the opening EHF EURO 2018 match between France and Russia. 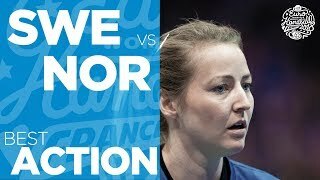 French winger Manon Houette caught the Russian defence by surprise and after a Counter attack scores through Anna Sedoykina in the Women's EHF EURO 2018 Final. Russia's Daria Dmitrieva places a perfect shot into the French goal in the Women's EHF EURO 2018 Final. Netherlands' Angela Malestein scores after a brilliant spin shot against Romania in the Women's EHF EURO 2018 Bronze medal match. France's Grace Zaadi is always ready for a little trick. 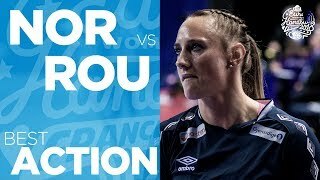 Watch how she cheats the Dutch defence and beat their goalkeeper in the Women's EHF EURO 2018 Semi-final match. 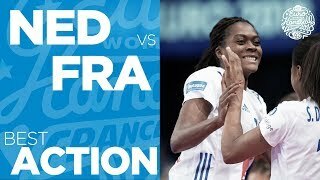 France's Gnonsiane Niombla scores a delightful goal against Netherlands in the Women's EHF EURO 2018 Semi-final in France. Russia's Anna Vyakhireva had a great Show in the Women's EHF EURO Semi-final as she stole the ball from Romania and finished a fantastic solo. Even injured Cristina Neagu in the stands wondered. Russia's Anna Sen sent a powerful shot through the Romanian defensive wall in the Women's EHF EURO 2018 Semi-final. Sweden's Linn Blohm nicely picked up a ball in the Norway's goalkeeping area and sends a shot behind Silje Solberg's back. Norway's goalkeeper Silje Solberg was excellent in the 5/6 Placement match at the EHF EURO 2018 in France. Netherlands' Estavana Polman scores an in-flight goal against Germany at the Women's EHF EURO 2018 in France. "I don't see you, but I know exactly where you are." Nathalie Hagman with a great no-look-pass in Sweden's main round match against Russia. Beautiful play by Isabelle Gullden and Jasmina Roberts in Sweden's main round match against Russia at EHF EURO 2018 in France. With some pretty cool wrist action, Sweden's Nathalie Hagman spins this one around Russian goalkeeper Kira Trusova. Spanish goalkeeper Silvia Navarro never gives in and she showed her mastership in the Spanish goal at every opportunity, like she did in a Penalty throw of Linn Jorum Sulland of Norway at the Women's EHF EURO 2018 in France. 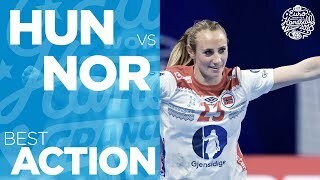 Just before the half-time break in the Women's EHF EURO 2018 Main Round game against Spain, Norway's left back Veronica Kristiansen showed a great individual breakthrough followed by a well-placed shot. Norway's playmaker Stine Oftedal scored a mouth-watering goal against Spain at the Women's EHF EURO 2018. Norway's Malin Aune benefits from a great pass from Emilie Arntzen and finishes her in-flight goal against Netherlands at the Women's EHF EURO 2018 in France. Denisa Dedu in the Romanian goal denies two shots within two seconds including a penalty throw. Spanish goalkeeper Silvia Navarro is one of the most experienced players at the Women's EHF EURO 2018 and you can tell that by what she was showing against Romania. 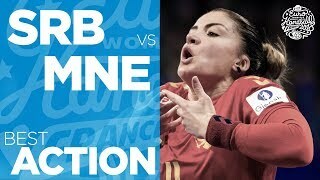 Romanian star Cristina Neagu recapured the ball after her shot was stopped by a post and beat the half-time buzzer in the game vs Spain at the Women's EHF EURO 2018. There is hardly is a wing player out there with such a refined technique such as Montenegro's Jovanka Radicevic. Russia goalie Anna Sedoykina put her name on the scorer list in her team's match against Denmark in Nantes at EHF EURO 2018. Iuliia Managarova successfully receives an accurate pass and wastes no time to beat Katarina Tomasevic. The rising star of Hungary Noemi Hafra seals the deal in a thriller with Germany. Sweden's Filippa Idehn became the Player of the match against courtesy of this kind of saves. Germany's Alina Grijseels fakes a move and successfully drills through the Hunagrian defence before she scores. Norwegian left wing Camilla Herrem outfoxed the Hungarian goalkeeper Blanka Biro. The experiences Spanish right wing Carmen Martin Shows her Expertise when it Comes to spinning the balls. Germany's Maike Schmelzer received a pass and threw her body backwards to the goalkeeper's area scoring a goal without even seeing the Spanish goal. Germany's Emily Bölk sends a missile from the nine-metre line after which the ball kept hanging in the corner of the Spanish goal. Majda Mehmedovi scores with a superb shot from the left wing in Montenegro's match against Sweden at Women's EHF EURO 2018. What a beautiful assist this is by Milena Raicevic in Montenegro's match against Denmark at Women's EHF EURO 2018. 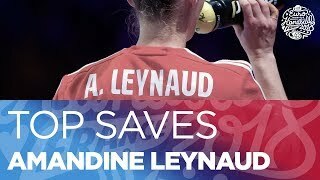 France goalkeeper Amandine Leynaud deservedly became the player of the match in her team's main round match against Denmark. Norway's Camilla Herrem concludes a lightning-speed counter attack against Romania at the Women's EHF EURO 2018. The all-time EHF EURO top scorer Cristina Neagu from Romania was on fire against the defending Champions from Norway. Germany's Meike Schmelzer is always ready to grab a ball and send it the right way. Watch her spectacular goal vs. Czech Republic. Alexandra Lacrabère finished an incredible run through the Montenegrin defence with an even more incredible goal. Aneja Beganovic just pushes the ball past the goalkeeper and behind the line in the closing minutes of Slovenia vs Russia at EHF EURO 2018. Pure class here from Aneta Labuda as she scores in the match Poland vs Sweden at the EHF EURO 2018 in France. Russia's goalie Kira Trusova surely does not let that ball past her in her team's match against Slovenia at the EHF EURO 2018 in France. 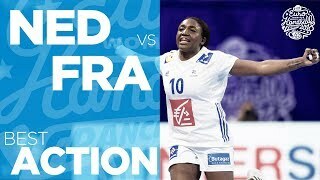 Lois Abbingh has scored one of the most amazing goals at the Women's EHF EURO 2018 to date with a buzzer beater against Spain in the preliminary round in Brest. Linn Jorum Sulland extend Norway's comfortable lead in the match against the Czech Republic with this nicely placed shot from beyond the nine metre line. ehfTV commentator was impressed with the speed of this shot, fired by Croatia's Larissa Kalaus in her team's preliminary round match against Hungary. Aniko Kovacsics found the gap she needed to score in Hungary's preliminary round match against Croatia at the EHF EURO 2018 in France. Cristina Neague became the all-time top scorer at Women's EHF EURO events, bypassing Hungary's Agnes Farkas. This is Neagu's 206th goal at EHF EURO level which propelled her to the top of the scorer list. 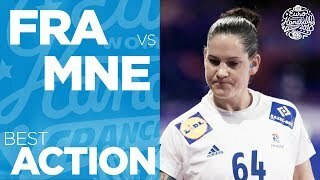 Denisa Dedu produces a brilliant double save in Romania's match against Germany at the EHF EURO 2018 in France. With seconds on the clock left at the XXL Hall in Nantes, Sweden's goalkeeper Filippa Idehn stood exactly where she was supposed to stand to save the last shot of the game. With a deadly shot from the wing, Russia's Marina Sudakova secured the victory and the main round berth for her team at Women's EHF EURO 2018. Katarina Bulatovic has not lost any of her shooting prowess as she confirmed in Montenegro's match against Russia at the Women's EHF EURO 2018. Jovanka Radicevic and Majda Mehmedovic had the time of their on court after scoring this beautiful goal against Russia at the Women's EHF EURO 2018. You can hardly get more spin on the ball than Denmark's Fie Woller in this outstanding shot against Poland at Women's EHF EURO 2018. Mireya Gonzalez scores with this long-range missile shot in Spain's opening match at Women's EHF EURO 2018! Watch again her amazing performance. Brilliant spin shot from Jennifer Gutierrez after a come back from the Croatian defence. Watch it again! When you don't expect it Jana Knedlikova from Czech Republic scores from the wing in an excellent way. Germany goalkeeper Isabell Roch stood exactly where she was supposed stand in the dying seconds of her team's EHF EURO 2018 match against Norway. The gap opened up for Nerea Pena in front of the Croatian defence in the 3rd day of the Women's EHF EURO 2018. Eliza Iulia Buceschi twist and scores for Romania during the match against the Czech Republic. Brilliant play from Ina Grossman helped her German squad in their last 3 minutes of the match vs Norway. Watch it again! An astonishing end to Denmark vs Sweden After Trine Østergaard thought she’d won it for Denmark 🇩🇰, Sweden 🇸🇪 were awarded a penalty. Find out what happened next … This is why we love handball! Montenegro Goalkeeper Marina Rajcic saves a powerful shot and straight scores into the Slovenian goal. What a finish! Ana Gros, Slovenian captain scores with no doubt from, 10? 11? metres? What a play! BRNOVIC Tatjana from Montenegro scores from the line while the Slovenian goalkeeper wasn't expecting such a spectacular goal. From Gullden's hands Jamina Roberts strikes into the Danish goal helping Sweden before the whistle. Watch again the amazing goal from Roberts! Another interception and Tamara Radojevic scores almost from the middle of the court against Poland. Katarina Krpez Slezak netted 11 goals to become top scorer and player of the match at Serbia vs Poland at the Women's EHF EURO 2018. Jelena Lavko strikes with no doubt into the Polish goal at the second day in the Women's EHF EURO 2018. A beautiful goal from Polina Kutznetzova early in the second half of the opening EHF EURO 2018 match between Russia and France . Russia's Daria Samokhina was awarded Player of the Match after scoring seven goals in the opening EHF EURO 2018 match against France. Russia's captain Daria Dmitrieva scored eight goals against France in the opening match of EHF EURO 2018. Orlane Kanor netted not twice, not three times, but 6 times in France'S opening match against Russia.